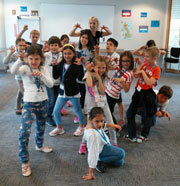 English language summer courses | London | 7-13 years. Full day. Study English in London this summer on our full day course in Kensington. The programme runs from Monday to Friday from early July to mid-August with courses starting each Monday. Students arrive at 09:00 and are collected at 17:00. The course takes place at Baden Powell House (corner of Queen's Gate and Cromwell Road), just 5 minutes' walk from Gloucester Road and South Kensington Underground stations. 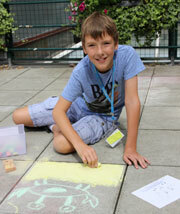 The air-conditioned building has spacious classrooms and a safe, outdoor roof terrace. *Full Day course is from 09:00h-17:00h, Monday-Friday. Please contact us with any questions.